There's always talk about the chronic lack of berths, especially in Southern Italy and in fact yours is one of the few places in that area that can boast a well-organised marine. In this regard can you describe the characteristics of the Flavio Gioia Naval Base? 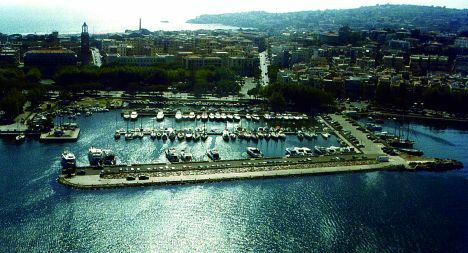 The Flavio Gioia Naval Base is a landing place with 200 berths situated in the historic-commercial centre of Gaeta and is one of the few examples of a private marine without joint ownership in Italy since we don't sell berths. This favours the possibility to control all the services and to be able to continually improve quality. Inside we have a shipyard for repairs and maintenance and a well- stocked ship chandler's as well as offering facilities for rigging, upholstery, electronics and anything else connected with boats. The new 100 ton Travel Lift with variable track is able to move boats up to 30 metres long while the traditional slip works with boats up to 400 tons in weight. 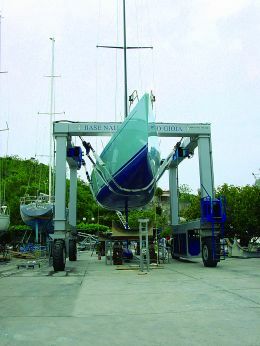 The increasing demand for fitting and renovating large sailboats has prompted us to make 2 holes for laying boats with a draught up to 4.5 metres, thus avoiding scaffolding. The quality of services connected to a marine is one of the elements that can decree success or failure. How are you organised in this sense, strictly from the nautical point of view but also for the reception of crews? There is an increasing demand for diversified services. The rapid growth of the leisure sailing sector has stimulated the need for quality standards. Our shipyard and wharf staff are involved both from a technical point of view and in tourist reception; our company is committed to constant updating, ranging from language courses to working with vacuum systems etc. As regards reception, for several years we have been offering our customers an informative booklet on the harbour, the city of Gaeta and the surrounding area which I update myself - this is to try and give complete assistance to our customers and to ensure that they can take advantage of what our Gulf has to offer. There's an increasing number of large boats crossing our seas and, very probably, this specific type of use is destined to grow a lot in the near future. Is the Flavio Gioia Naval Base structured to receive this type of boats? The demand from large boats for maritime services has been growing over the last 10 years and although our structure is small, at the moment we can accommodate 4 or 5 large yachts up to 50 metres long. Gaeta has now become a favourite destination because of its central position in the Gulf and its position half way between principal routes as well as its favourable conditions of climate and seas, its depth and its vicinity to the international airports of Rome and Naples. In conjunction with maritime interests, we envisage the possibility of organising a mooring point on the outer breakwater of our dock which, because of its depth, could accommodate also 20 mega yachts up to 40 metres long. This topic will be dealt with by the Maritime Authorities since the Harbour Office of Gaeta is seeking other mooring opportunities for the organisation of the Randeveau of vintage boats to be held in Gaeta from 25 to 29 June. We naturally hope that this opportunity will become a reality quickly. What type of user do you have: exclusively local? 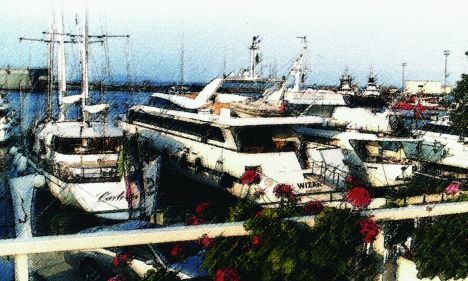 Although for geographic reasons we have established relations with customers in the Rome and Neapolitan areas through targeted marketing, our structure is now frequented by national and international users and for a number of years also North European and North American boats have chosen Gaeta as a winter base. In the near future we hope to be able to exploit the potential of our structure with a new dock equipped to accommodate, particularly, large boats.